Log into your account and click ‘My Rewards’ to view your Vape Points page. From here you can click the ‘Refer Friends’ link to find your referral code. Copy your unique referral code and share with your friends. Alternatively, send them your unique link. Your friend enters your unique code at checkout OR follows the link URL and makes a purchase over £30. Your friend receives a 20% discount on their full order, you receive £10 in Vape Points to spend on site. Get hold of your referring friend’s referral code. Enter the code at checkout (or buy direct from the link) when placing your first order over £30. 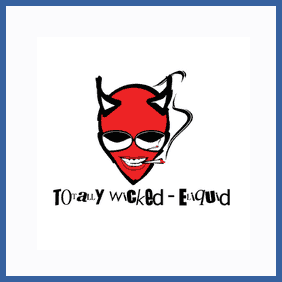 Totally Wicked supply e-cigarettes, vapes and liquids for those looking to give up smoking tobacco. Refer your friends and you’ll earn £10 worth of ‘Vape Points’, redeemable against purchases made via their online store.